The city and the province of Reggio Emilia have a huge unrecognized heritage, represented by a large number of twentieth century buildings of important architectural value. 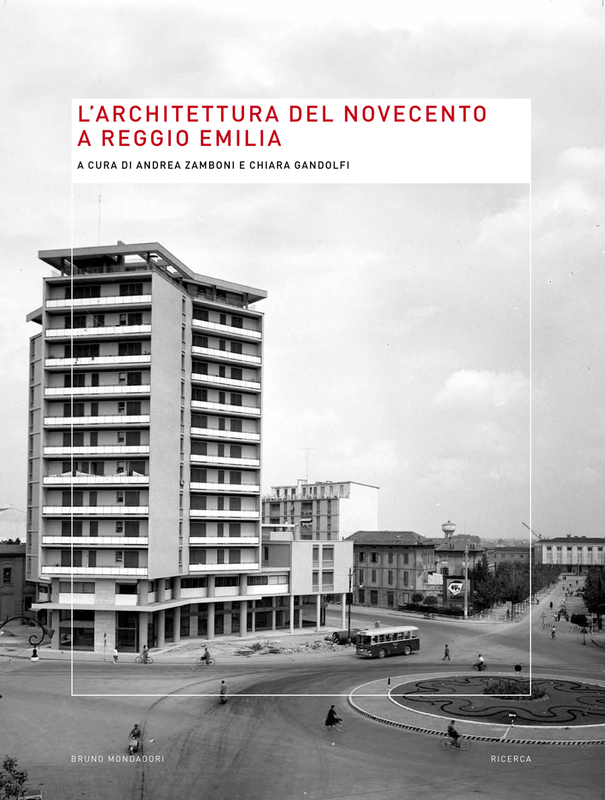 This publication, resulting from a long and scrupulous research, highlights it by looking at the evolution of the architecture of Reggio Emilia between fascism, reconstruction, post-war and economic boom, inserting the city in the context of the great twentieth century transformations. The result is a wealth of quality that is widespread in the area that deserves and needs to be disseminated, understood and safeguarded. The study on the architecture of the twentieth century in Reggio Emilia stems from a research project in collaboration with the Department of Architecture and Territorial Planning (DAPT) of the University of Bologna and realized thanks to the support and contribution of the Pietro Manodori Foundation of Reggio Emilia, which financed both the research and the realization of the volume. The iconographic research was carried out in collaboration with the Library of the Panizzi Library and with numerous public archives at local and national level and the archives of architects, including Carlo Lucci, Enea Manfredini, Franco Albini, Cooperative Architects and Engineers, Luigi Moretti, Giuseppe Vaccaro, Asnago and Vender. Cataloged and presented for the first time in a complete and exhaustive way, the main buildings of Reggio Emilia from the central decades of the twentieth century are illustrated, accompanied by iconographic material and original documents of the time, also presenting unpublished projects by important architects who operated in Reggio Emilia.